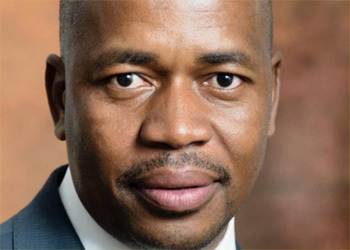 Pretoria – Trade and Industry Deputy Minister Mzwandile Masina will lead a business delegation to Zimbabwe on a three-legged Investment and Trade Initiative (ITI). The ITI will take place from 13 – 19 March. It is part of the Department of Trade and Industry’s efforts to cement economic relations and increase trade and investment between South Africa and Zimbabwe. The Deputy Minister will lead a 30-member delegation to Harare, Gweru and Bulawayo. The delegation consists of companies operating in the agriculture and agro-processing, built environment professionals, oil and gas, mining and capital equipment and electro technical sectors. The programme for the ITI will include business seminars, site visits, mini exhibitions and business-to-business meetings. The companies have received assistance from the Department of Trade and Industry through its Export Marketing and Investment Assistance (EMIA) scheme. One of the objectives of the scheme is to increase export market access for South African products and services. Trade between South Africa and Zimbabwe has displayed a positive growth trajectory. During 2005 to 2014, South Africa’s exports to Zimbabwe grew by 247.3% from R7.1 billion to R24.8 billion, with minimal contraction recorded in 2006 and 2009. The current trade balance favours South Africa. “The mission to Zimbabwe will enable the South African companies to identify trade and investment opportunities in the country and to interact with Zimbabwean businesspeople and consider ways in which cooperation, partnerships and joint ventures can be established in order to explore these opportunities,” said Deputy Minister Masina. The ITI is also part of the dti’s integrated national export strategy aimed at developing new markets for South Africa’s value-added and manufactured goods and services, with an emphasis on Africa and the emerging markets.